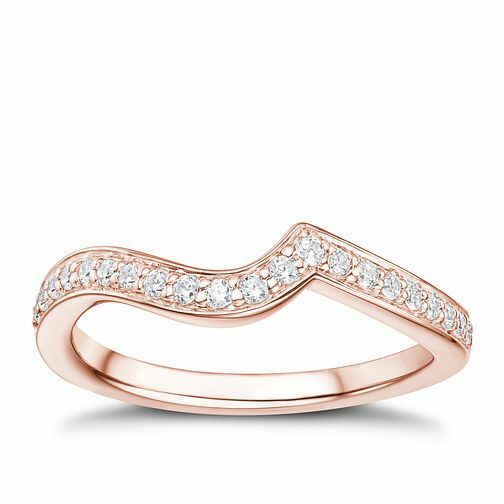 Finished in a beautifully curved design, this elegant band is crafted in 18ct rose gold and set with sparkling diamonds totalling 17ct. Each diamond is crafted using the innovative Tolkowsky formula in order to produce the finest quality diamonds. Can be worn as part of a Tolkowsky bridal set as shown in the image.